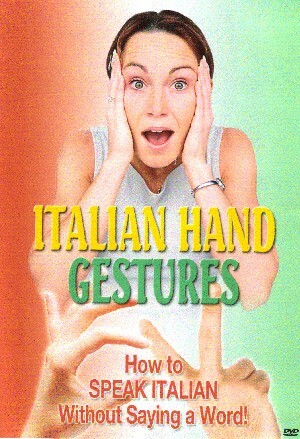 HOW TO SPEAK ITALIAN WITHOUT SAYING A WORD! We have all seen the films, the Italian sportsmen and debates on TV or indeed you may have been to Italy, where every sentence is expressed with a theatrical waving of the hands. Interpret the gesture and respond with your own! Fun for all the family and guaranteed to amaze and amuse your hosts in any Pizzeria or Rome itself!